שק ציפה אפקס WTX4 . 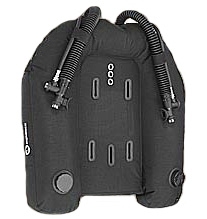 This is a new buoyancy cell in the WTX Series of floatation products. 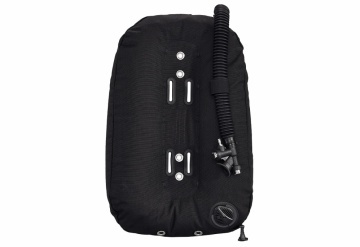 The WTX4 is a smaller version of the WTX6 & WTX8 but it can accept single cylinders too! The weight lift of the WTX4 is 45lbs. • The WTX4 can mate directly to the WTX harness or the stainless steel back plate using twin tank bands or using center bolts. 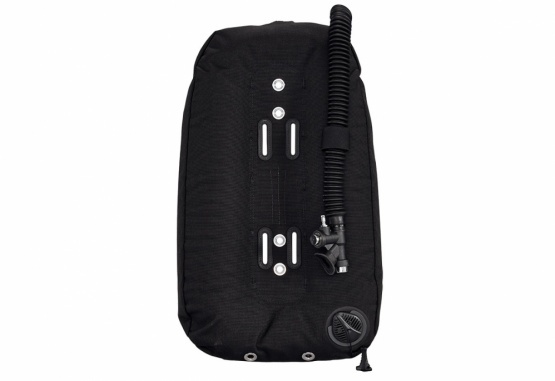 •Highly efficient drains allow water to empty quickly after a dive. 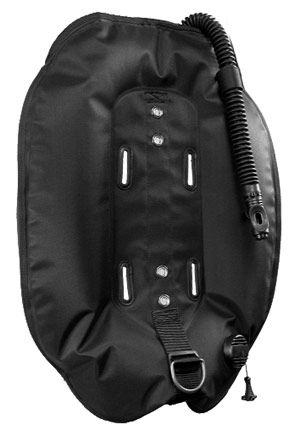 •Outer bag constructed out of Armorshield™ Cordura® to resist abraision and fading. 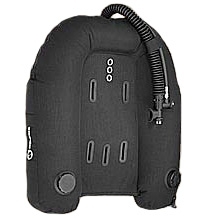 •Inner bag constructed from mil-spec welded fabric. This is the same fabric used in survival vests worn by US fighter pilots. •The airway comes off of the back top center of the cell. A safety cable inside the elliptical hose prevents hyperextension of the corrugated hose. 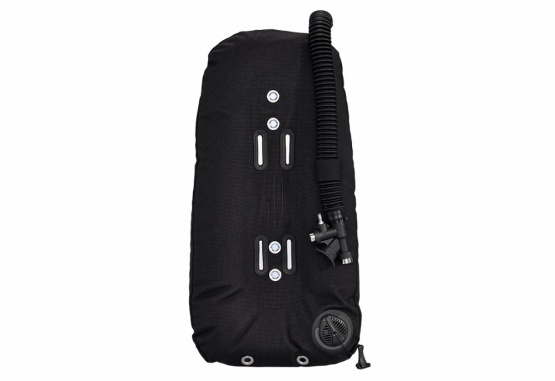 •Features the Apeks technical inflator with brass buttons. •Pull dump on inside lower left. •Optional pull dump may be added to the inside lower right. •The latest version of the WTX4 bladder has been made to accommodate our new Internal Retractor System which noticeably reduces its profile. 1.55kg dry weight.